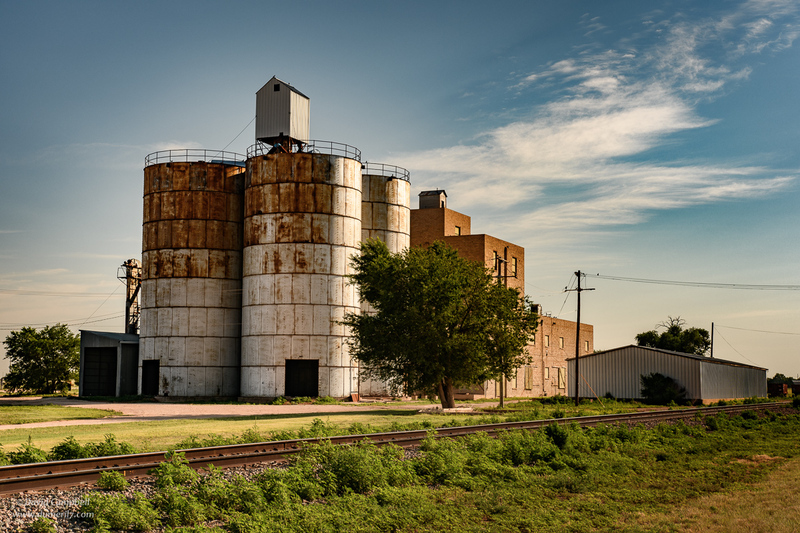 Somewhere in west Texas, I took this photo of a grain silo. There aren't a lot of towns out there, but I can't remember exactly which one I took this in and I couldn't find another photo of it on Google image to help me out. Let the Camera Worry About It. In the beginning, I set the camera's white balance to "Auto" and didn't worry about it. Seemed to work well enough. Until it didn't. Just Push a Button. I was mostly happy with Auto WB, but I noticed that sometimes it was off the mark. So just in case, I'd run through some of the more relevant preset white balance settings on my camera or in Photoshop (or Lightroom) to see if they improved the look. Sometimes they did and sometimes they didn't. I was still taking a very low-investment, low-return approach. But at least when I started doing this, I began getting a little more attuned to different colors of light. Holy Crap, Light Color Makes a Huge Difference! When I started shooting with artificial light, I began to notice exactly how much the color of light really changed things. Between fiddling around with white balance when post-processing, and beating my head against the wall trying to get a good compromise white balance when I mixed lighting types and neglected to gel my flash, my eyes really started to see the light. (Yes, I just did that.) I could walk into a room and just by looking at the ambient light, I could identify whether it was lit with incandescent, fluorescent, or mercury vapor lights. Reset To Zero. Once my brain was dialed in to light color, my first reaction was to always compensate for color casts from the lighting using white balance. In my mind at the time, this was restoring it to "true color". So for a period of time I carried a gray card with me everywhere, or I was constantly scanning my locations for white or gray objects to set a custom white balance. Faithful to the Memory. After white balancing all the personality out of my lighting for a little while, I realized that the color of light is actually key to a scene and that white balancing all of it out may be giving me the "true color" of objects, but it wasn't giving me the true color of the scene as I saw or remembered it. The golden hour should be, well, golden. So that's where I am now. I have an adaptable, multi-pronged approach now for setting white balance while shooting and post-processing that uses all the methods above plus a few others, depending on the situation. I'm interested in understanding what kind and color of light I'm dealing with in every scene. And depending on the scene, I may be interested in compensating for it with white balance. Or I could be more interested in being faithful to my memory or feeling of the scene and making sure that some of that color cast is retained. And occasionally, I look at white balance from a purely artistic standpoint and just throw the goals of naturalness and true-to-memory out the window. In other words, white balance is now another creative tool instead of just a setting that I want to set-and-forget. I'm working on a post now that goes over white balance in some detail, as well as my approach to it. So, how does that all relate to my silo photo? Well, both my camera and Lightroom wanted to remove all the warm color from the morning light. I had to restore it from memory using the white balance.